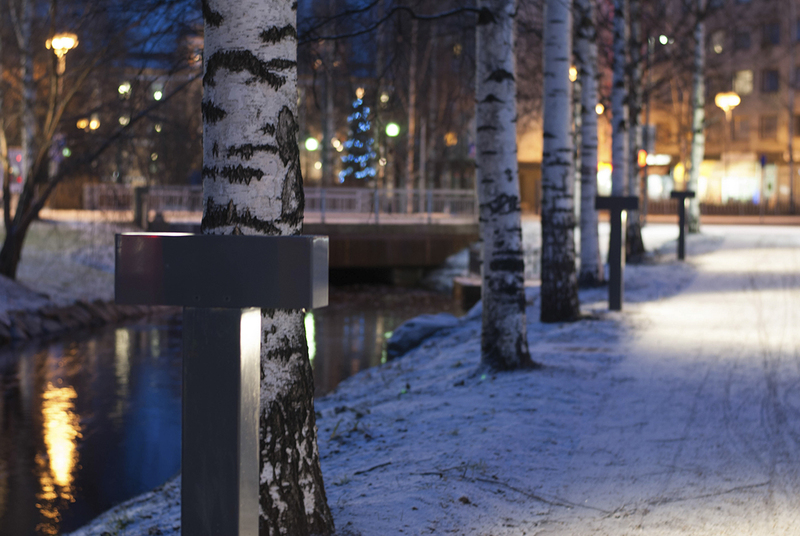 The Otto Karhi park in Oulu has been renewed whilst maintaining the spirit of this old central park. 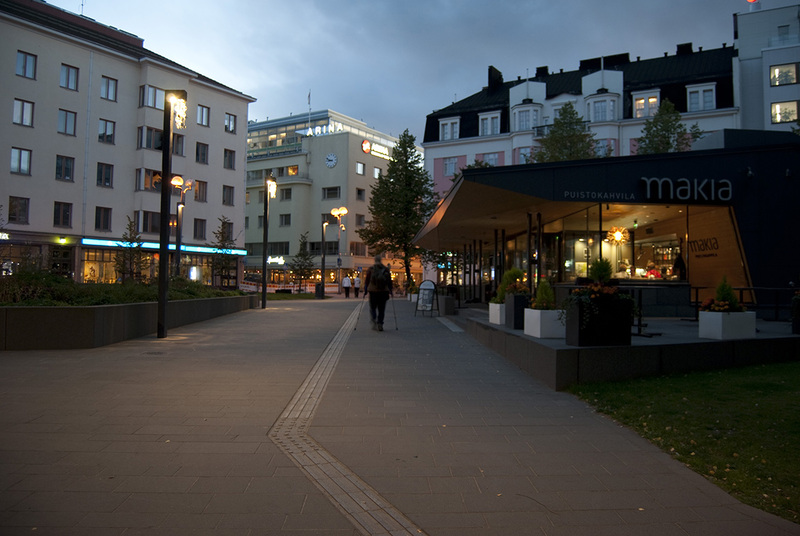 There is a new modern Cafe building, and the pathways, lighting and green-space of the park have been renovated. 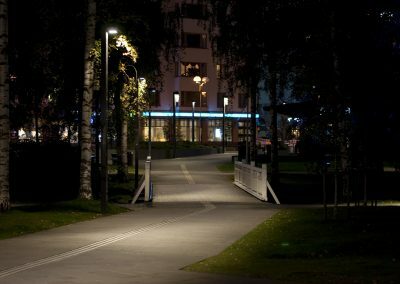 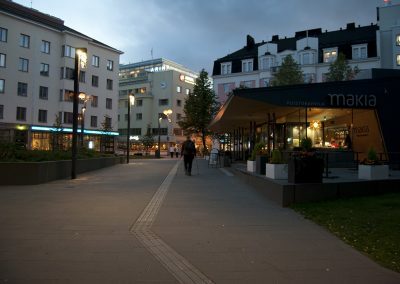 The lighting of the park has been implemented with ValoT luminaires, equipped with movement detectors, and iLUMNET Lighting System. 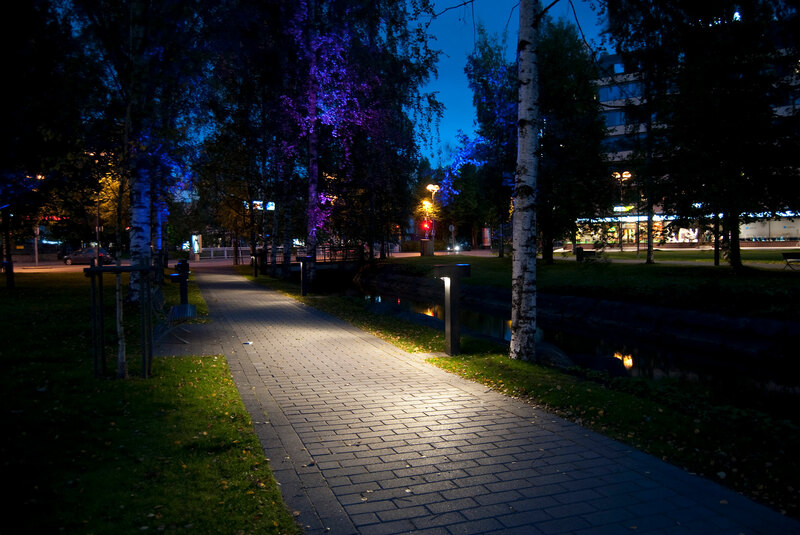 There are different sizes and models of ValoT luminaires, some are low bollards and some pole-style luminaires. 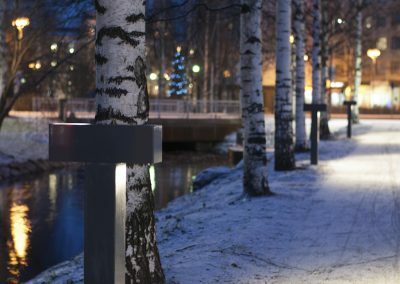 Accent lighting to the trees of the park is created with RGBW solution, where both white and colored light can be directed up to a tree and white light down to the pathway from the same bollard. 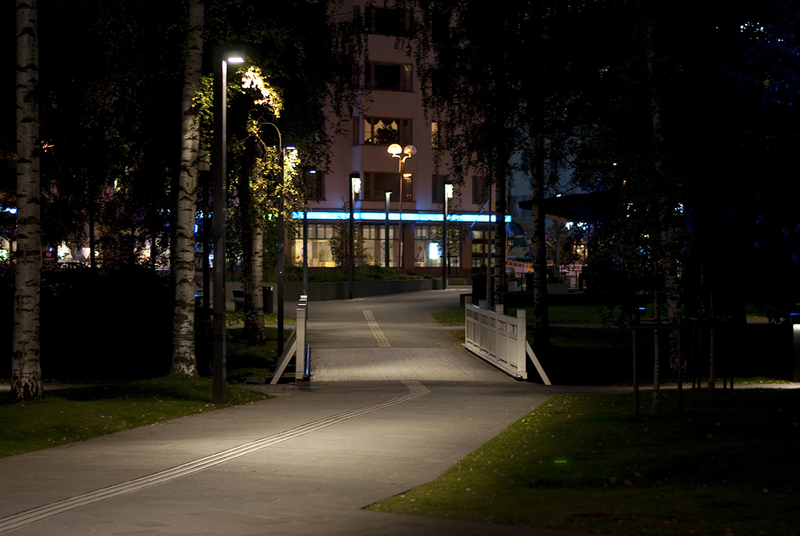 At the front of the Cafe building, a special version of the valoT luminaire was developed with crystal balls that refract the light vividly. With the iLUMNET Lighting System, the luminaires are controlled wirelessly over a radio interface and luminaires can be divided freely to control groups, this way it is possible to create changing ambiance with different colors.